The German numismatic community has lost a visionary: Dr. Rainer Opitz passed away at the age of 64 on February 7, 2019. 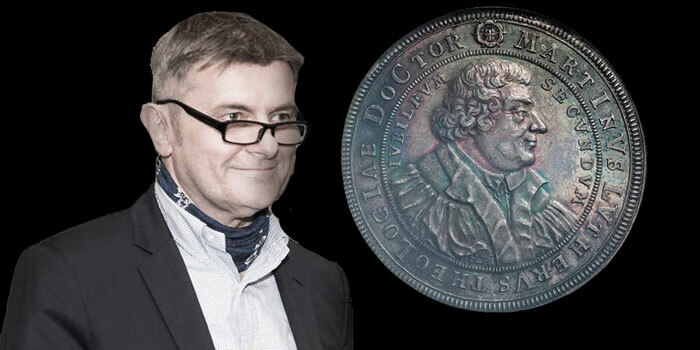 The businessman Rainer Opitz is known in the numismatic world for his dedication to coins and medals of the history of the Reformation. For Rainer Opitz, the 500th anniversary of the “Revolution”, initiated by Martin Luther’s posting of the Theses on the door of All Saint’s Church in Wittenberg and the subsequent schism of the Roman Catholic Church in Europe, remained the pivotal historical event that decisively shaped his life as a collector. Luther and the Reformation massively changed the political landscape in Germany, but also in Europe. The division of the Church was deeply rooted in people’s consciousness and the distrust of other denominations has fundamentally influenced societal life, at least in Germany, up to the present day. The denominational schism was further intensified by the societal changes after the Second World War. The expulsion of Germans from the eastern provinces Pomerania, Silesia, and East Prussia, as well as the Sudeten-Germans from Czechoslovakia, resulted in an entirely new confrontation in a Germany reduced in size and split into two countries: in the western part, the Federal Republic of Germany was established as a parliamentary democracy; in the east, the German Democratic Republic (which German chancellor Konrad Adenauer often defamatorily referred to it as the “Soviet zone”), was set up as a one-party state, dependent on Moscow, a dictatorship of Stalinist character under the governance of the SED (Socialist Unity Party). In a very personal conversation several years ago, he confided in me that he was terminally ill and that the future of his health and personal life was uncertain. He said that was the reason why he decided to have his collection sold by the auction house Künker. It was very important to him that the comprehensive book on his own collection that he initiated would be published by Künker. Unfortunately, he did not get the chance to see the work for himself. It will be published in 2019, which is an honor and the expression of our respect at the same time. In 2017, Oliver Köpp wrote a portrait about the collector Rainer Opitz in the context of our Auction 297, which can be read below. His widow Sabine Reif cited author Hermann Hesse in her obituary for Rainer Opitz. The actions and aspirations of Rainer Opitz are perfectly summarized in the quote: “To achieve the possible, we must attempt the impossible again and again.” During Rainer Opitz’s memorial at the Kunstforum in Potsdam, this motto, which Rainer Opitz used to motivate his employees and friends, was repeatedly emphasized. His strong leadership qualities allowed Rainer Opitz to go far, while never losing his authenticity: 13,000 employees work at his company Promota GmbH today. His social-minded attitude made him a role model in the eyes of his employees. Whenever the demanding and strong-willed businessman and his propensity for discussions strained the nerves of his managers to the breaking point, one fact remained certain for everyone: for Rainer Opitz, it was always about the matter he wanted to promote. He may well have acquired his ascribed leadership qualities during his career in the GDR’s National People’s Army. After finishing his Ph.D. in philosophy at Humboldt University in Berlin, he was promoted to the rank of lieutenant-colonel of the NPA during the late stage of the GDR. Rainer Opitz leaves a big gap in both his family and his company. The world of numismatics will miss the enthusiastic collector who will be remembered through his field of research and collection “Reformatio in Nummis”. Rainer Opitz was born in 1954 in the district seat of Sebnitz at the edge of the Sächsische Schweiz National Park. 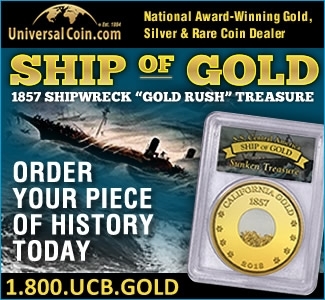 As is the case with most coin collectors, his numismatic interest was stimulated during his youth, when he came in contact with imperial German coins in the possession of his family. At the age of 14 he did not undergo the “youth dedication”, as was customary at that time in the GDR, but rather was confirmed in the German Lutheran Church in 1968. One year later the schoolboy acquired his first medal, which was associated with the Reformation. For 5 D-marks, he bought the copper medal issued by the German Democratic Republic commemorating the 450th anniversary of the Reformation. In 1981 he had a propitious meeting with the Potsdam numismatist Jürgen Koppatz, author of the book Banknotes of the German Empire. Koppatz urged Rainer to focus his collecting activity on numismatics involving the Reformation and to develop a collection concept. In the same year, Rainer began a studies program in philosophy with the emphasis “Theory and History of Religion” at the Humboldt University in Berlin, from which he graduated in 1985. From 1987 to 1990 Rainer Opitz worked toward a doctoral degree in the historic relationship between religion and the military, which simultaneously served as the theoretical basis for his collective topic. During this time, the peaceful revolution in the GDR took place and Germany was reunified. In the transition period, Rainer Opitz left his career in science and assumed a leading position with a Bielefeld commercial company. In 1983 in Zurich, the circa 1,000-item collection of Professor Robert Whiting with the theme “Martin Luther and the Reformation in Coins and Medals” was auctioned. The acquisition of the collection catalogue was a landmark experience for Rainer; while the study of the catalogue brought new impulses, his initial euphoria was followed by the recognition that his subject appeared to have already been extensively collected and presented. However, his initial frustration did not last long, for Rainer ascertained that many aspects of the Reformation’s minted history were still untouched. This realization spurred the ambitious collector on. In 2001 Rainer Opitz resigned from his job and founded his own service business. Its economic success enabled him to indulge in his collecting activity to a greater extent, and much more systematically. In the intervening period he had made numerous contacts in the numismatic world, not only to auction houses and coin dealers but to collectors as well, such as Werner Beck of Solingen, with whose support he began to build a library – which is now quite extensive – on “Reformatio in Nummis”. In early 2004, he visited our Auction 89, at which we auctioned off a numismatic library. At this auction, I became acquainted with Rainer personally and enjoyed his company, which led to a friendship which continued to develop over the years. In 2005 he met the collector Klaus-Peter Brozatus, known not only for his artistry in the manufacture of galvanoplastic copies of coins and medals but also considered a specialist in the numismatics of the Reformation. This acquaintance was doubly auspicious for Rainer since, over the years, Klaus-Peter Brozatus not only passed his extensive knowledge on to Rainer Opitz but in 2009 also sold Rainer his collection of Reformation galvanos. In cooperation with Dr. Stefan Rhein, Director of the Foundation for Luther Memorials in Sachsen-Anhalt, he developed the idea of evaluating and publicizing the inventory of the foundation’s numismatic collection. Through the intensive efforts of the authority Klaus-Peter Brozatus, the new reference work on Reformation numismatics was published under the editorship of Dr. Rainer Opitz in 2015 by the numismatic publisher Fritz Rudolf Künker GmbH & Co. KG. In the previous year, the special exhibition “Reformatio in Nummis – Luther and the Reformation in Coins and Medals” had been presented on the Wartburg. The exhibition, which was opened in May 2014 by the former Regional Bishop of the Lutheran Church of Hannover, Margot Käßmann, featured some 100 pieces from the collection of Rainer Opitz. The extent of the interest in this event, curated by Elisabeth Doerk, M. A., can be judged by the impressive attendance figures: some 400,000 visitors over an exhibition period of 1.5 years! Currently , Rainer Opitz is working in cooperation with Künker on a publication highlighting his collection of approximately 6,000 individual objects – it is scheduled to appear this year. In the personal realm, Rainer has just retired from professional life. 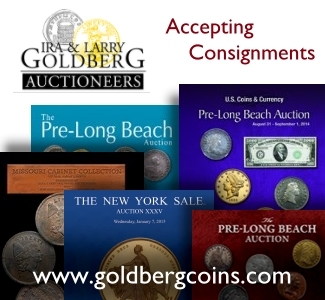 His goal of holding one or two presentations annually for coin associations, on the collection subject Reformation, is coming along “quite well…”, he says. I know Rainer Opitz as a personal friend, but also as an ambitious and purposeful collector – when he wishes to acquire a new object for his collection at an auction, his competitors are generally unsuccessful. In spite of his level of ambition, he always maintains an exemplary nonchalance and generosity on such occasions, a characteristic which cannot be valued too highly.